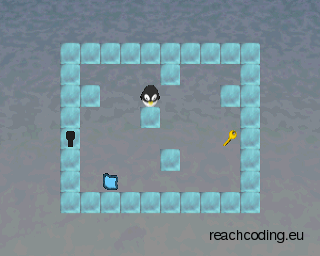 Escape from the North is a homebrew ice puzzle game for the original PlayStation®. 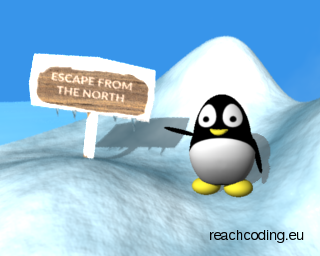 Help Pengu to flee from the cold north into a warmer part of the world. PlayStation is a Registered Trademark of Sony Computer Entertainment Inc. This project and reachcoding.eu are in no way affiliated with Sony Computer Entertainment Inc.